Super Bright, 4 Modes, Waterproof and Foldable. The perfect light designed for home-dwellers, adventurers, travelers, and for you. You’re looking for something that transcends. Adaptable to all environments wherever you go, wherever you are. You are the reason we design things. 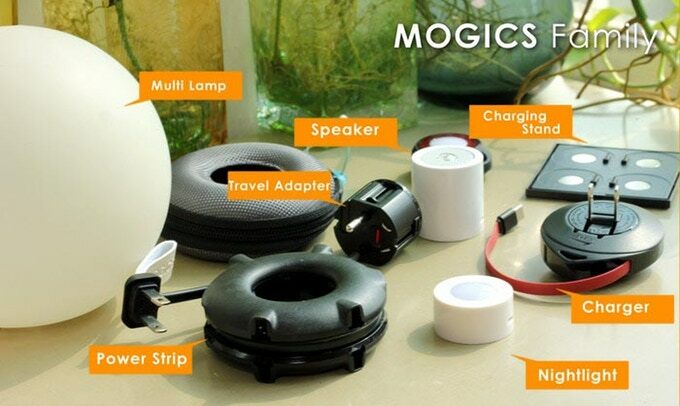 A small versatile re-chargeable LED (MOGICS Light), a super compact speaker with unbelievable sound quality (MOGICS Speaker), or a revolutionary travel power strip (MOGICS Donut & Bagel). At MOGICS, we believe in creating moving magic, we design especially for you. How did we come up with MOGICS Coconut Light? We come from all over the world. Many of us left home to explore new worlds and create a better a future. When we are crashing at a rundown hotel to fight for our dreams, it's the light that makes a difference. A well-designed light doesn't just illuminate the room, it changes your perception. So we wanted to design a light that can accompany you for a lifetime. It goes wherever you go, and adapts to the different lifestyles along the journey. It needs to be durable and extremely portable. 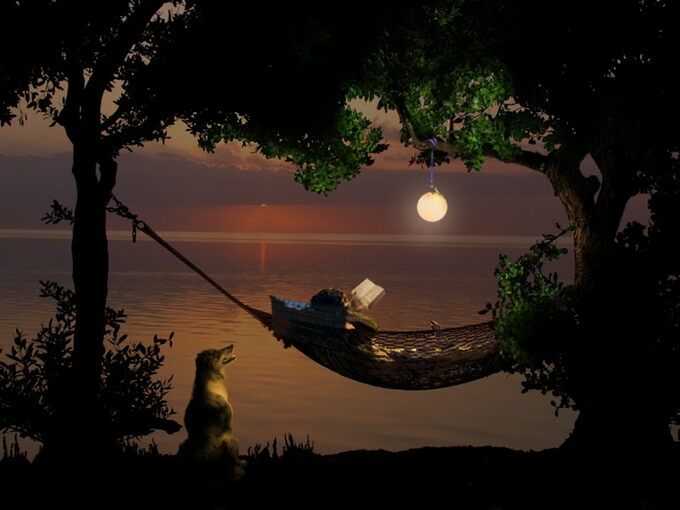 It becomes the MOGICS Coconut Light. From the very beginning, we believe that a simple and timeless design is best able to adapt to the widest range of changes in both space and time. It needs to be both classic and modern. So, a minimalistic perfect sphere is our final decision after considering all the factors. Even though the design looks simple, it's actually very difficult to achieve a perfect sphere structure that is able to balance itself when you place it down, coupled with the challenges in designing the structure while considering light diffusion, as well as the constraints on molding and production. On top of that, after three years of relentless engineering testings and creating countless prototypes and even sending back and forth multiple final samples -- we have overcome all the challenges of functionality such as perfecting waterproof inside-out, the pressure and sensitivity of the invisible switch, the rechargeable capacity and more. All this to optimize the final design. To make the MOGICS product system interoperable, and considering the optimal dimension, we opted for the same modular design as ML1 (MOGICS Light, Gen. 1) for the lighting source of the Coconut Light. For the Coconut Light, we have increased the brightness to more than three times than that of ML1. In order to minimize the shading effect, we created a transparent casing material for ML2 within the Coconut Light. Additionally, we used Trigonometric Ray Tracing to create the best Diffusion Mode for the lens design. The unique valve design allows it to self-inflates in t second, ensures no air-leak and maintains its bounce and sturdiness. it started off as a consideration for the Coconut Light to be able to withstand humid conditions and rainy days -- but why stop there? We designed the Coconut Light to be entirely waterproof inside-out using nanotech for every component and multilayer waterproofing. This allows both floating mode and submerging mode. Moreover, it is made of a durable Non-toxic silicon material that is safe for children. So don't worry if you've got kids at home. Considering the goal of luminosity for homeowners, the size of the lampshade directly affects the users' comfort level to the light source. Because of that, we couldn't -- and shouldn't -- design it to be as small as the ML1 (Original MOGICS Light). When the lampshade's size is increased to roughly the size of a coconut, an optimality between diffusion effect and the compactness is achieved. To make it even more portable for travelers and adventurers, we carefully selected a high-quality silicone material for the 'lampshade', or as we call it, the coconut shell. With this foldability, the Coconut Light can be reduced to 1/6 of its original size, making it extremely portable and wonderfully easy to bring along on your trip or when you move. The unique valve structure allows it to self-inflates automatically. Keeping the air pressure inside and maintaining the bounce. No strings attached - MOGICS Coconut Light is rechargeable with micro USB from any power source. Still, an almost 8-foot-long cable is included for your convenience depending on your environment and usage. We want to design something encouraging, that adapts to different lifestyles. MOGICS Coconut Light is a minimalistic designer light that is perfect for any event, versatile, and fits flawless in any environment and lifestyle.